Elegant doesn't have to mean lavish with our Simple Serene programs. Highlighted by soft watercolor dots, the calming cool blue color bodes well for spring as well as winter weddings, as well as most any wedding theme. 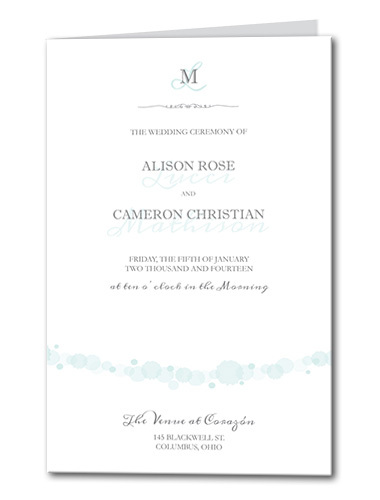 Simply Serene Program For the best experience, we recommend personalizing your stationery on a desktop computer.